Guys all over the world are in love with boardshorts. You can even see famous actors and public personas wearing them to casual events, or when taking a trip to the store. While it is true that they were first created to help surfers ride the waves with more comfort, lately, they have become a necessary fashion detail for men all over the world. How and Where to Wear Boardshorts? What to Wear Combined With Board Shorts? Seeing worn by almost every guy we know—from teenagers to matured men alike—we can’t help but ask the question: can you wear board shorts casually? Is it acceptable to wear them even when you are nowhere near a beach? In this article, you will find out just the right answers that you are looking for, and at the same time, learn how to become a boardshorts fashion expert while doing it. To answer the question, yes, you can wear board shorts casually. However, there are some do's and don'ts regarding this topic so you might want to stick around for a bit longer and learn about them. First, though, let us talk about the situations wherein it is acceptable to wear your beloved boardshorts. Swimming shorts and professional swimmer gear is often very ugly. This is not done deliberately, but it's a side effect of the design made to give the necessary edge to top-level athletes. On the other hand, boardshorts are made for surfers, which are a fun crowd. They aren't nearly as unattractive and often feature cool designs and colorful prints. It's considered fashionable to wear boardshorts virtually anywhere during summertime. Heading to the beach with your buddies is one of the most fun summer activities. There are always new people to meet, new adventures to have, and new girls to try to impress with your looks. Whether you're looking for exciting experiences, or just want to go get a tan and swim around, boardshorts are an excellent choice for you. Compared to the regular swimming shorts, they will feel much better and more comfortable. Their design is much looser, and they don’t feature that annoying net that will make you feel caged. Also, the colorful designs are always great for socialization, as people love looking at them. When going outside for a walk with your partner, or just visiting a coffee shop with some of your friends, boardshorts are a great choice too. They are remarkably comfortable and give you that laid-back look that guys just love having. Most boardshorts feature pockets, which are a great plus if you're planning to wear them while walking around town. You can just put your phone, keys, or other accessories in there, and not worry about them being lost. During the summer months, there is a great number of outdoor parties that young people love to attend. The heat makes everyone feel more happy and friendly, so it's a perfect place to blow off some steam and enjoy some nice company. 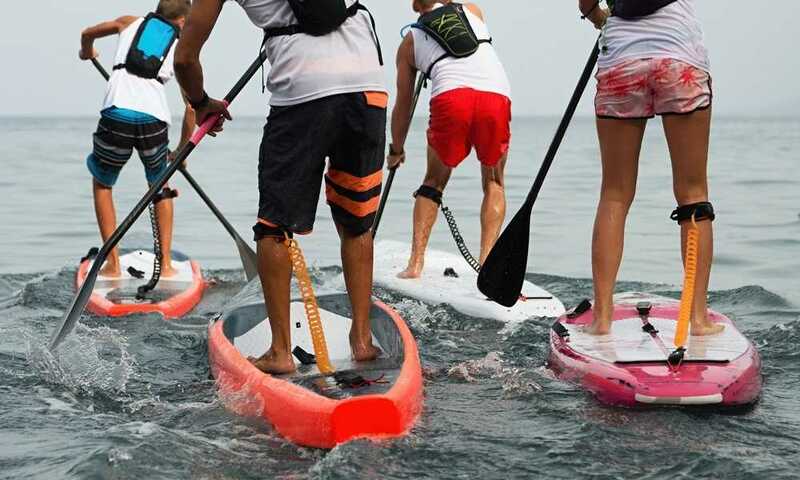 Meeting new people is often one of the most fun activities that these parties have to offer, and wearing a cool pair of boardshorts will make you appear much more approachable to different kinds of people. When wearing such a casual piece of clothing, you are making a statement about yourself. Whatever you feel like at the moment, those people will believe you have confidence and are a fun person to spend time with. Remember to always match the color and the design of your board shorts with your other clothing items. 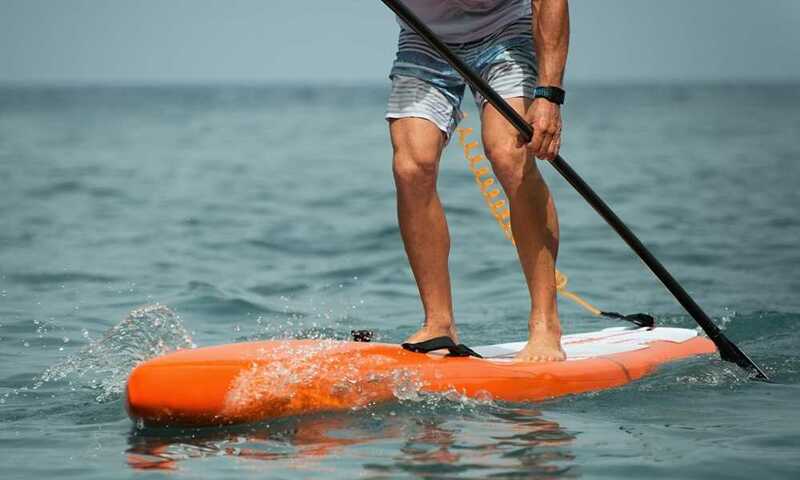 The best things to wear with boardshorts are short-sleeved t-shirts, sneakers, and flip-flops. Combining colors like purple and yellow or green and orange will make you look ridiculous. This is a separate topic that would take too long to explain, so we will just stick to the basics. We would recommend combining black or white with colors like red, green, or purple. You can't go wrong doing that. Wearing a pair of board shorts with long-sleeved shirts or hoodies is a big no. This was common practice back in the early 2000s, but now, it's generally considered a no-go. You will look like you went forward in time from another era, or like you're desperately trying to fit in. Another thing to avoid is wearing boardshorts when it's not hot outside. This is the perfect example of someone trying too hard, so it's best not to do it. 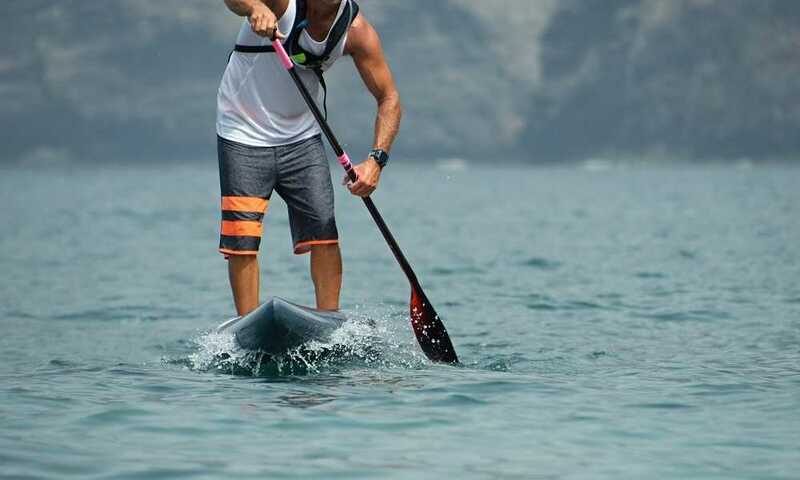 In this article, you have learned all about the casual application of boardshorts. They were designed for surfers, but are currently more popular used as swimming shorts or regular walking shorts. Furthermore, lifeguards prefer wearing them, as the incredible design helps them save more lives by allowing them to move= more smoothly. Whether can you wear board shorts casually is no longer a serious question, since so many celebrities and fashion icons from all over the globe are doing it. Don't hesitate to buy them even if you don't think you will be going to the beach or the pool any time soon, as they look great during a variety of events!